The collapsed Capital Bank has sued CDH Financial Holding and CDH Savings and Loans to recover over GHc100 million owed it. 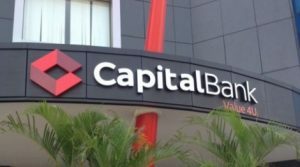 Receivers of Capital Bank want the High Court to order the payments of GHc109.4 million plus the accrued interest. In addition, it is urging the court to order the Bank of Ghana to withdraw the licenses of CDH Financial Holding and CDH Savings and Loans for their inability to pay back investment on maturity dates. Reports indicate that Capital Bank is blaming its collapse partially on the purported indebtedness of the two CDH firms. He also said only CDH Financial Holdings owed Capital Bank. The post CDH Holdings sued over GHc109m owed defunct Capital Bank appeared first on Citi Newsroom.